The retreat will be from Thursday, June 11-Sunday, June 14, 2015. Mark your calendar now and be a part of the adventure! The Retreat, organized by the New England Region of The Federation of Jewish Men's Clubs, is the first and oldest weekend retreat for Jewish men in America. Formerly known as Laymen's Institute, The Retreat is about a long weekend of fun, spirit and learning. Whether praying at the "Minyan in the Grove", playing in the golf tournament, attending an interactive lecture by a Scholar in Residence, biking to Quabbin Reservoir, or participating in another of the many programs and activities we offer - you will love The Retreat.The Retreat is a wonderful opportunity to enjoy a great getaway with Jewish men from throughout New England. 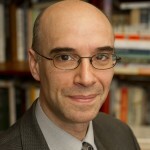 Our 2015 Scholar-in-Residence, Professor Jonathan Klawans joined the Religion and the Elie Wiesel Center for Judaic Studies at Boston University in 1997. He specializes in the religionon and religious literature of ancient Judaism. Professor Klawans topic will be Josephus, Ancient History and Modern Judaism. His talks may include Josephus, Jeremiah,and J-Street: Treason and Dissent in the Jewish Tradition and The Masada Story: Martyrs, Murders and Myth. As A quick introduction, listen to the opening segment from an episode of "This American Life", where he provides a few thoughts about the role of animal sacrifice in the Bible. This article from an interview of Dr. Klawans on Hanukkah touches on Jewish life today.